I’m struggling with a very serious dilemma and need some out-of-the-box thinking. My older brother is turning thirty in a few months and I want to get him something special. There are two primary challenges. Problem #1: he has a very well paying job and therefore practically owns everything he already wants. Problem #2: the things he wants but doesn’t yet have are way too expensive for me to buy alone. Lastly, I want to get him something he won’t expect. It should be something meaningful that reminds him of our sibling bond. He’s pretty sentimental so I know it’s possible, but I can’t come up with any good ideas. Help! Finding the right gift for that special someone is no easy task. Success is often equal parts deliberate forethought and dumb luck. Writers everywhere have gone to great lengths documenting how anyone might find that elusive ideal present. You might consider following the advice suggested by Lifehack. If that doesn’t do the trick, then why not entertain these 9 tips that will guarantee you find the perfect gift? Despite what these authors would have you believe, it really isn’t as easy as a step-by-step guide. The very nature of gift-giving is laden with symbolic meaning and unspoken feelings. In fact, that’s the very reason so many of us can experience the same overwhelming pressure when the holiday season returns each year. While the stress can definitely be uncomfortable, that doesn’t mean you should question the value of the practice. 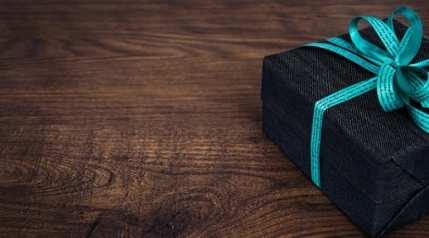 Experts now agree that generosity and gift-giving play a significant role when it comes to our long-term happiness and fulfillment. Winston Churchill captured it best when he proclaimed, “We make a living by what we get. We make a life by what we give.” While as children we quite relish any chance to receive a gift, as adults, we much prefer the chance to give one. The implicit joy we derive from delivering a valuable gift to someone special is almost incomparable. And the more we care for a person, the more elated we often feel through giving. That being said, you ought to still be cautious about what some refer to as over-giving, which can inadvertently hurt your relationships. The fundamental takeaway is akin to the ancient Greek idiom: anything in excess becomes vice. Simply be mindful of what you’re giving and how it might be interpreted by the recipient. This shouldn’t be too challenging, since it already appears that you’re searching for something to reinforce your mutual bond together. One promising idea could be investigating ornaments or a token artifact of some sort. Perhaps your brother would appreciate a watch. If he is a member of a group or organization, he might appreciate something that commemorates his participation, such as an artisan ring or Masonic ring (if, for instance, he's a member of the Masons). These types of gifts err on the symbolic side rather than being overtly functional. Men rarely expect to receive jewelry, which means the gift is likely to have the element of surprise. The trickiest part is accurately sizing the gift, should it be something wearable.